CES has evolved from a technology show that would feature new laptops and quirky futuristic gadgets to an event that features lot of car companies. Our cars are getting brimmed with technology and it won’t be wrong to say that we should be looking at the automobile industry for the future of ground transportation. Driverless cars carry the promise of solving our urban as well as long distance transportation problems while potentially disrupting many other industries. The driverless cars as seen until now are in no way close to their production form. The American carmaker Ford however seems to be moving forward at a brisk pace. They are calling 2021 as the year when they will bring out their high volume production fully autonomous vehicle. To stir things up even more, they are bringing their latest Fusion Hybrid autonomous development vehicle to the upcoming CES. All the equipment added to the vehicle for its autonomous capabilities is neatly integrated. The LIDAR sensors sit on the A pillars and don’t look like KFC chicken buckets on top. 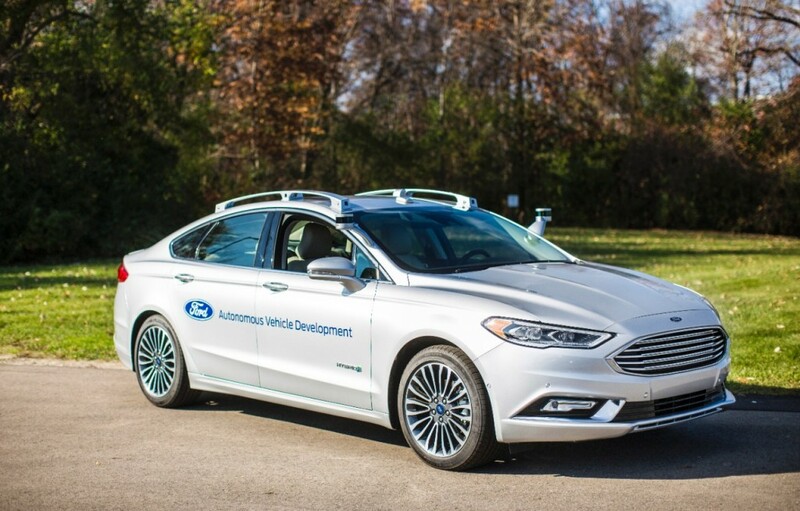 Chris Brewer, Chief Program Engineer, Ford Autonomous Vehicle Development shares that the latest vehicle builds upon everything they have learned over the past three years. He speaks about what is needed to ship SAE Level 4 capable vehicles by 2021 and their virtual driver system is targeted towards the same. Ford plans to put more autonomous cars on the road for testing and up the number to 90 cars from 30. The most critical aspect of Ford’s efforts in this space is their massive scale and strong expertise in automobile industry. While the tech companies can do a great job of building software solutions to power these vehicles, building cars that will deal with everyday situations is another level of challenge which a company like Ford can deal with experience. It will be interesting to watch how the developments and aggressive approach of carmakers shape up the future of autonomous vehicles. You can read about their upcoming vehicle here.